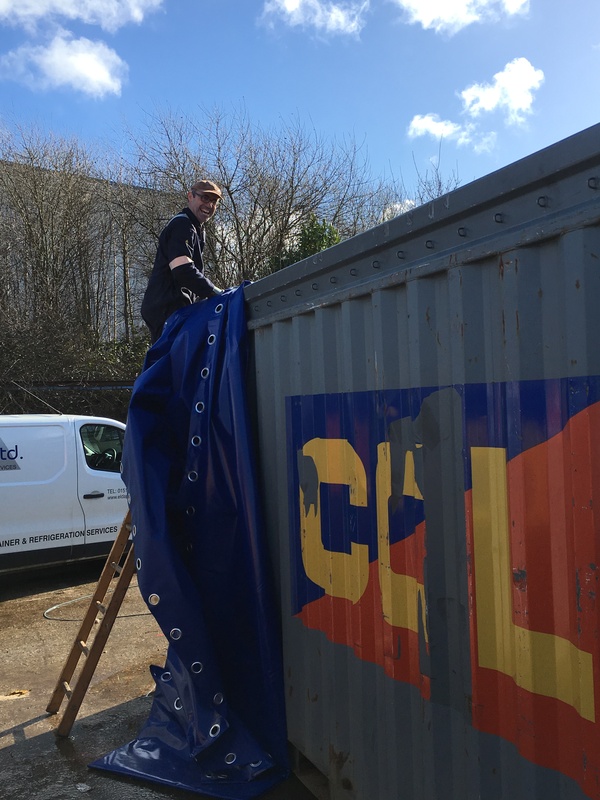 This is where it all started for CDC Heavy Textiles over 30 years ago - supplying TIR container tilts and tarpaulins to the shipping industry. 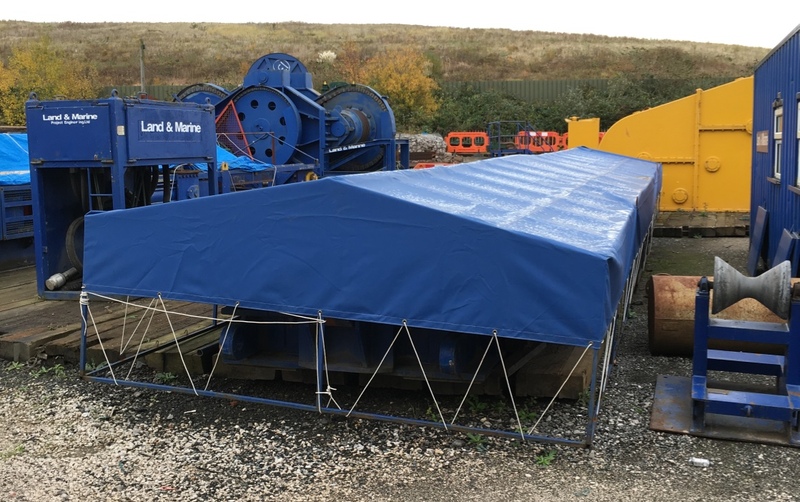 Since then we have amassed over 600 different drawings enabling us to supply the correct fitting TIR tilt or tarpaulin for your container. 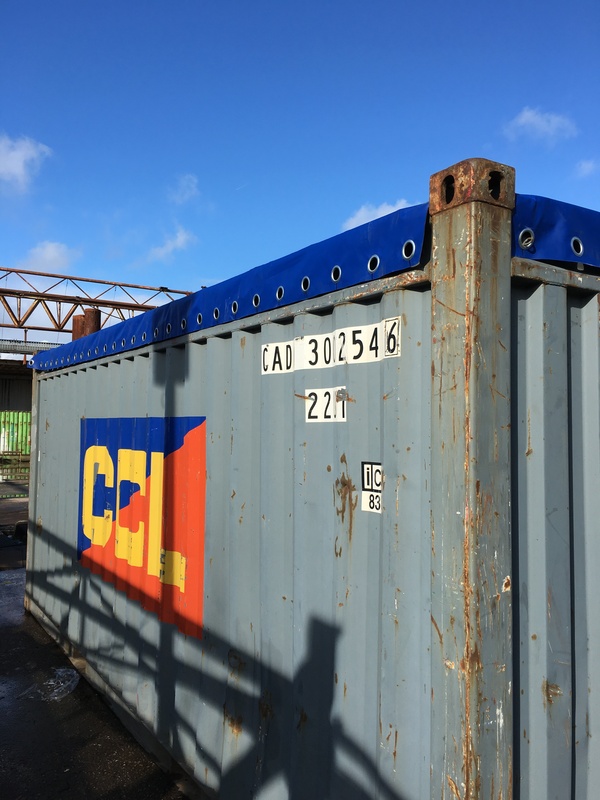 Just as there are different requirements for containers there are different requirements for TIR tilts and we can meet them exactly. 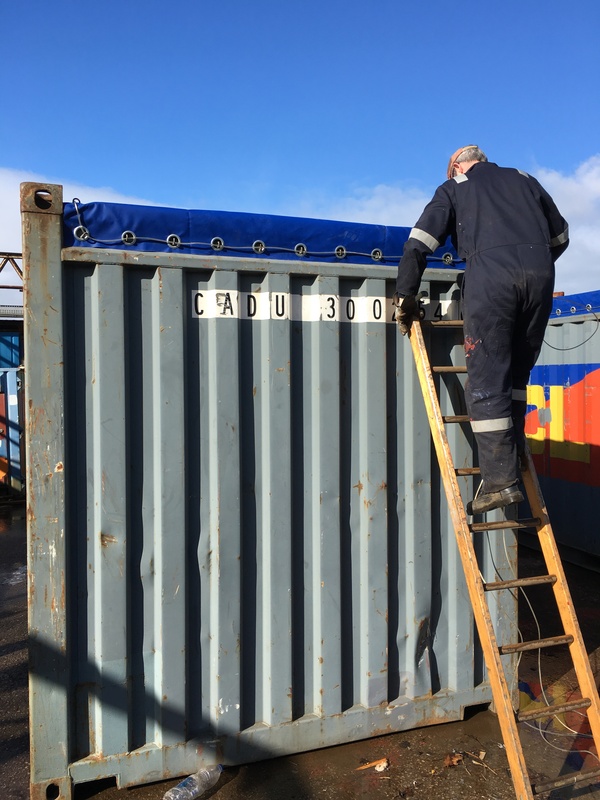 We offer a range of 20' and 40' TIR container tilts in standard and economy formats for both in-gauge and over height loads. We can also provide the customs-approved TIR cable with cable end closures for each tilt. 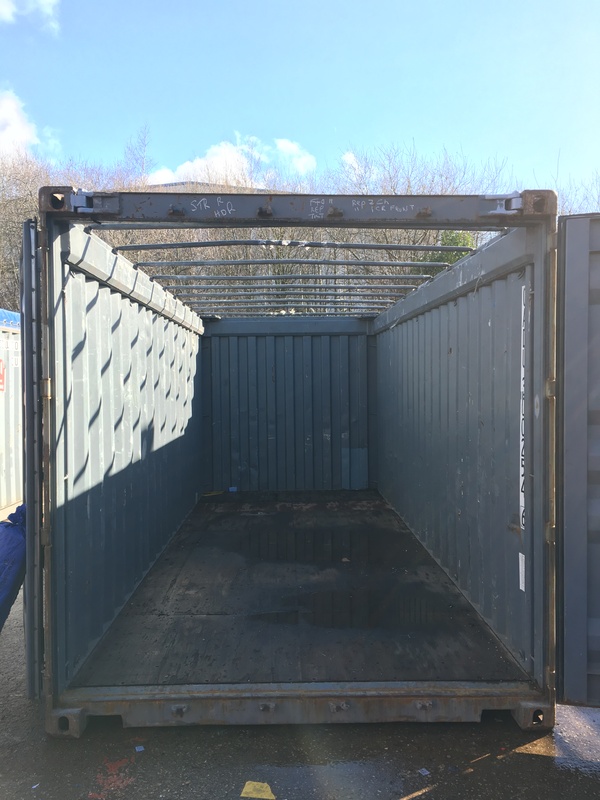 On the rare occasion that we are unable to identify your TIR container tilt requirements from the container number alone we can usually supply the correct tilt from the manufacturer details and staple count. 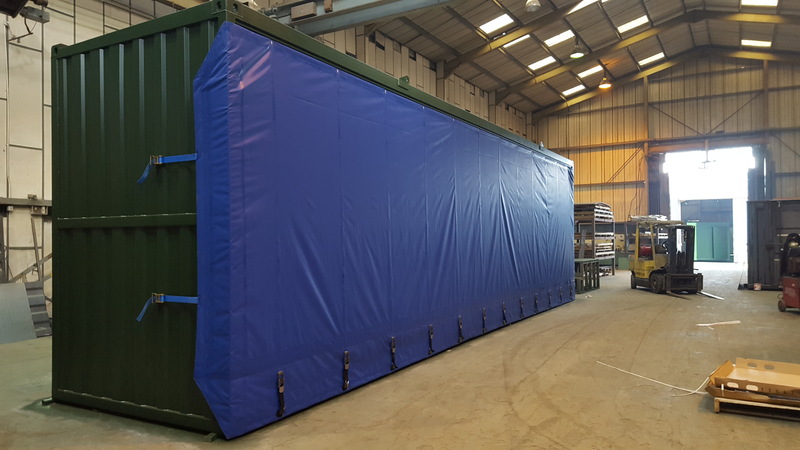 We also offer a range of lace-on container tilts and tarpaulins that will fit almost any container but without meeting TIR regulations. We can also offer these for both in-gauge and over height loads. We can also supply side curtains, half height container tilts and special made to measure projects. Have a look at our Gallery to see some of the special projects we have been asked to manufacture. 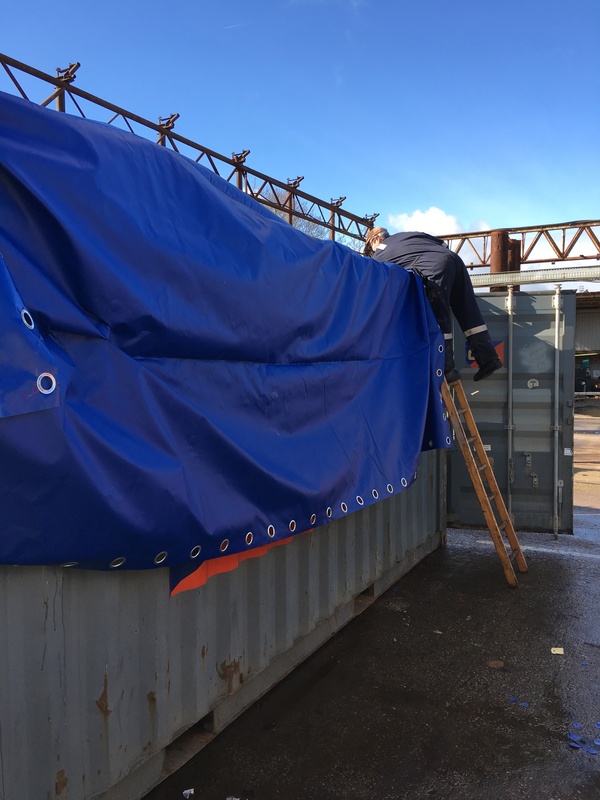 We offer a repair service, carrying out small and large repairs to side curtains, TIR container tilts and tarpaulins. We are able to make repairs on weldable PVC coated fabrics using portable hot air welding equipment. 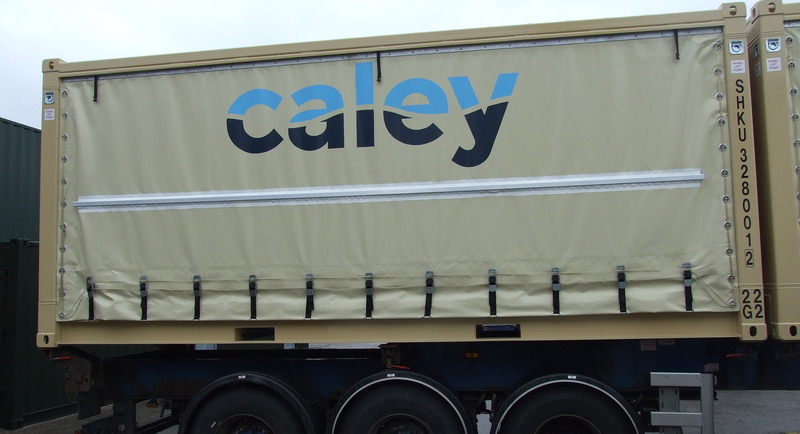 We can repair trailer side curtains at our premises, often without the need to remove the curtain. We also supply tilt patches and hot air guns to enable customers to carry out their own on site repairs. Give us a call to discuss your requirements please don't hesitate to contact us. Side Curtains can be supplied as wind up, sliding or removable to allow full side access. If you have a project that requires a unique, custom made cover, we have a wealth of experience across many industries. Contact us and speak to one of our experienced staff.